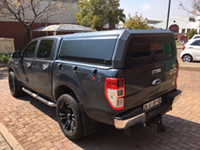 Our leather embossed Tonneau Covers/Bakkie Covers are made using high quality material and are durable. 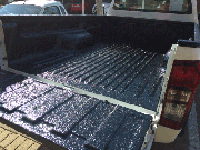 The bakkie covers are UV stabilized, made to resist the effects of the sun. Although the Tonneau Cover/Bakkie cover is designed to stop water from entering into the vehicles’ bin, it only achieves this 95% of the time, owing to various factors such as rollbar pockets. It is important to note that no tonneau cover/bakkie cover will keep out 100% of water. Aluminium tracks are built into the bakkie’s loadbin area and the tonneau cover/bakkie cover is then fitted onto the Aluminum track. Not only is it used for keep out dust, rain and the like, it also improves fuel consumption. The tonneau cover/bakkie cover is Double and Top Stitched to ensure quality and durability. 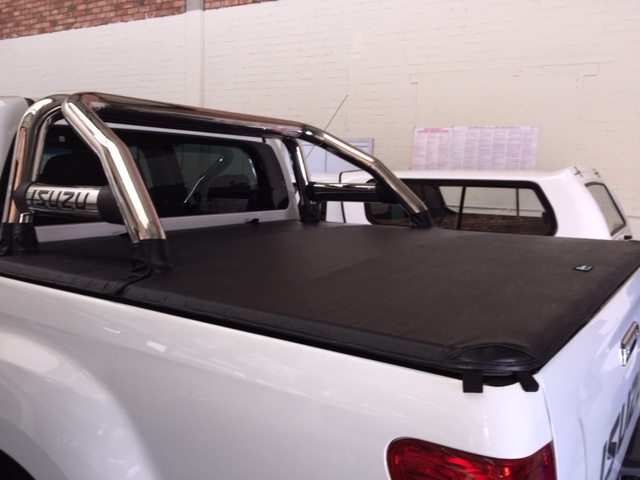 Clip on tonneau covers/bakkie covers have a really neat finish and is popular with Double Cabs/Ext Cabs and Single cabs. It also enhances the vehicle’s looks. Clip on Tauno Covers/Bakkie Covers for Sale are available for just about any type of bakkie such as : Nissan Navara, Ford, Toyota, VW Amarok, Isuzu, Triton, NP200, Chev etc. 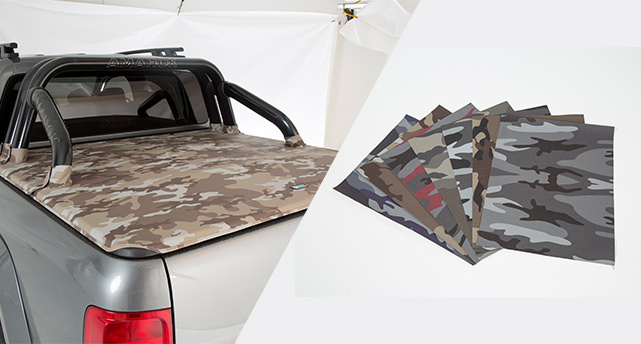 We have also introduced a Camouflage Canvas Range. Comes in different colours. Refer picture below. 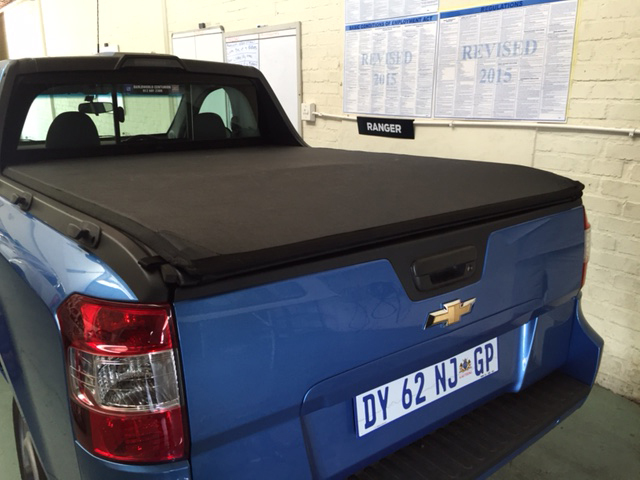 All elasticated rope tonneau covers/bakkie covers are made exactly the same as the Clip on Covers. They are UV Stabilized, weather proof and designed to keep out most of the water. These bakkie covers fit slightly differently. They are fitted with a elasticated rope (Bungee cord) system. Vehicles sometimes come standard with hooks on the side of the vehicle, enabling the elasticated rope to hold the bakkie cover in place. In the instance that it does not, hooks are then drilled into the sides of the vehicle. The drilled area is treated for rust prior to the pegs being installed. 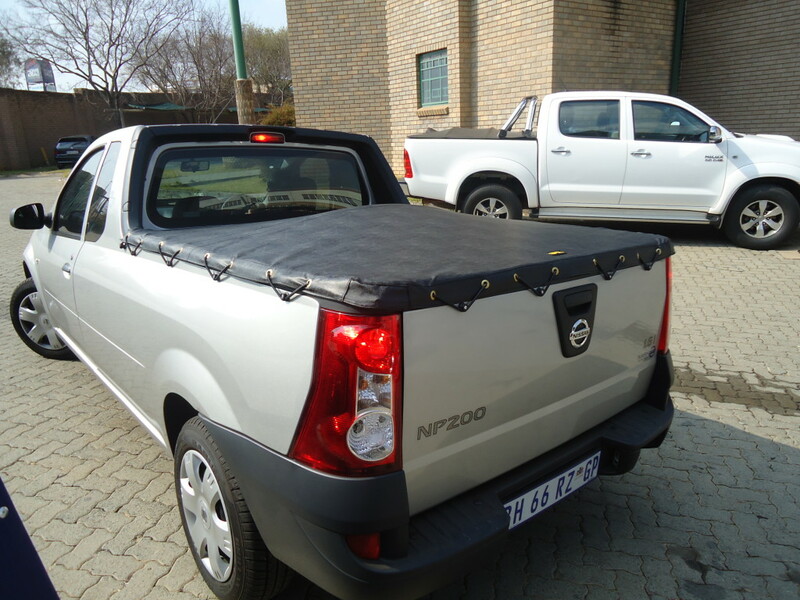 Elasticated rope tonneau covers/bakkie covers are available for just about any make and model of bakkie. 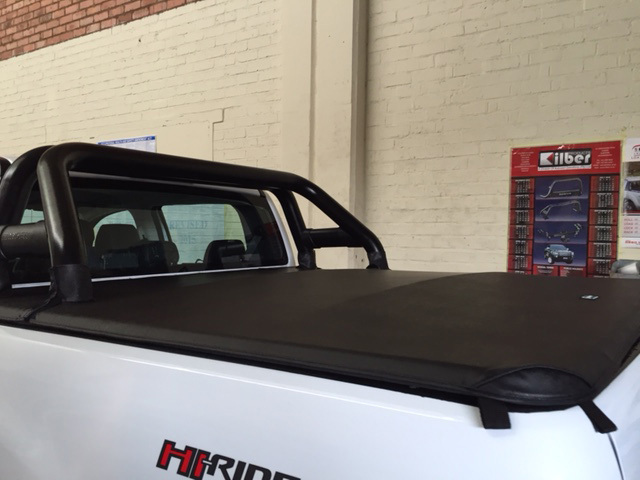 All bakkie covers come standard with a full kit which includes the aluminium rail systems, pegs and tension rods. Important to note: Tonneau covers/bakkie covers are not universal. Not all manufacturers’ bakkie covers are compatible with each other . 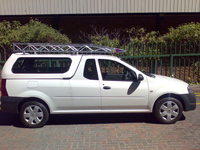 For example, the aluminum rail system for a clip on bakkie cover differ between manufacturers’. The same for a vehicle with a rollbar. If your vehicle has a rollbar , it will have to be measured, prior to the cover being manufactured. If you have a cover that is damaged/torn, you may not find a bakkie cover easily to fit the frame, if you do not know who the manufacturer is. We offer a service whereby you can send in a picture of what your requirement is or alternately come in for an assessment. 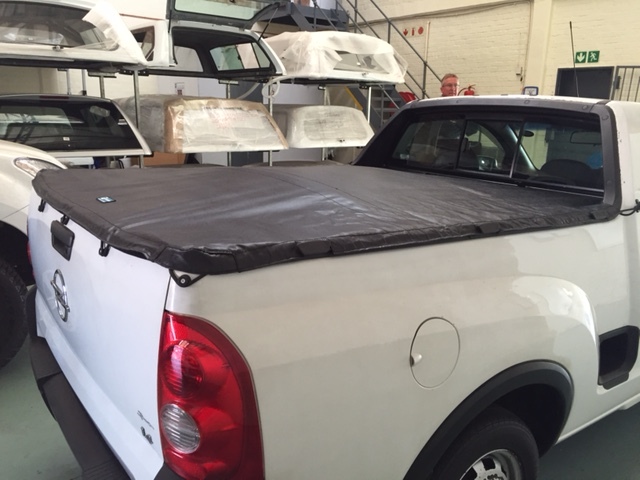 All our bakkie covers come with standard 6 month warranty. We can also ship your product to you for an additional fee. Fitting instructions will be included with the bakkie cover should you wish to fit it yourself. Are Tonneau Covers/Bakkie Covers lockable? The answer is simply no. The bakkie cover is not lockable. Each unit is made of a leather like material. If you are looking for something that is lockable, you would need to consider an Aluminium Roller Shutter Door such as a Securi lid.